These stunning Pink quartz drop earring are by MPearl of North Kingstown, RI. 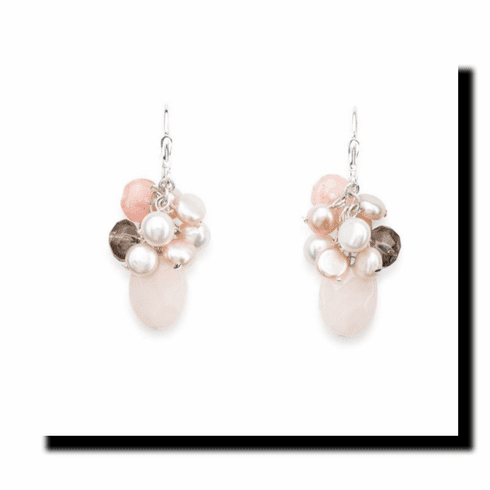 They feature Rose quartz, Cherry quartz, Smokey quartz and freshwater pearl clusters with an approximate one inch drop, on sterling silver findings. Each pair is handcrafted and of unparalleled quality. Comes beautifully gift-boxed.